Welcome to the mid-Fringe Friday Favourites! You can catch up on the best blogs on music this week, and if you want to read the reviews of the shows I’ve seen this week, you can click here. The Perfect Wrong Note (The Cross-Eyed Pianist) – Why we, as musicians, need to ditch out our ideas of perfection, and start thinking differently. Do Extroverts Make Better Performers? (Bulletproof Musician) – Well, actually this post is about shyness and performance. Why Write on the Score? (Classical Mel) – We can get precious about books, but this is a post on why we should be happy to attack our music with a pencil. Memorizing Your Pieces and More Memorizing Tips (Classical Mel) – Aimed at pianists, here are some tips to help with memorising music some of which are also useful for singers. Reducing Unwanted Noise When Recording (Helen Russell) – If you read my post on essential practice kit for singers and want to try to record yourself, here are some great tips on how to get a good clear result. 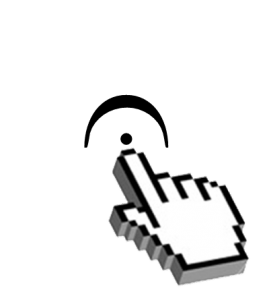 Preparing for Fall: Sight-Reading Challenge for Special Needs Adoption (ComposeCreate) – Wendy at ComposeCreate has come up with this lovely sight-reading practice incentive idea that doesn’t feel like bribery and still gets kids working. I love this idea and I’m definitely keeping it in mind for my own studio in future. And, finally, for anyone studying advanced theory, here’s a useful picture so you’ll never forget a Neapolitan Sixth again! This entry was posted in Friday Favourites and tagged friday favourites on 16th August 2013 by .